All living organisms sense and respond to harmful changes in their intracellular and extracellular environment through complex signaling pathways that lead to changes in gene expression and cellular function in order to maintain homeostasis. 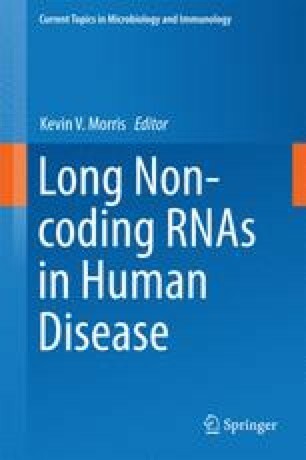 Long non-coding RNAs (lncRNAs), a large and heterogeneous group of functional RNAs, play important roles in cellular response to stressful conditions. lncRNAs constitute a significant fraction of the genes differentially expressed in response to diverse stressful stimuli and, once induced, contribute to the regulation of downstream cellular processes, including feedback regulation of key stress response proteins. While many lncRNAs seem to be induced in response to a specific stress, there is significant overlap between lncRNAs induced in response to different stressful stimuli. In addition to stress-induced RNAs, several constitutively expressed lncRNAs also exert a strong regulatory impact on the stress response. Although our understanding of the contribution of lncRNAs to the cellular stress response is still highly rudimentary, the existing data point to the presence of a complex network of lncRNAs, miRNAs, and proteins in regulation of the cellular response to stress. Funding for this work was provided by CFAR grant number P30-AI036219 to S.V. and a postdoctoral scholarship from the National Board of Science and Technology of Mexico to A.V.H. The authors declare no conflict of interest.